You protect it. We'll repair or replace it for any covered breakdown. Purchase Overstock.com's Platinum Protection Service Plan with your jewelry or watch and enjoy worry-free ownership for 3 years, beginning from the date of purchase. This Platinum Plan protects your jewelry or watch from defects in materials and workmanship, including those due to normal wear and tear. Your repair is covered 100 percent, including parts, labor, and 2-way shipping. If we can't fix it, you'll be reimbursed for 100 percent of the product's purchase price credited to your Overstock.com account, so you can replace it. 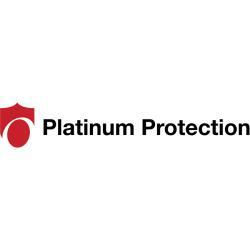 Plus, Platinum Protection is fully transferable if you sell your jewelry or watch, or give it as a gift. ** Limitations and exclusions apply. See terms and conditions for more details.